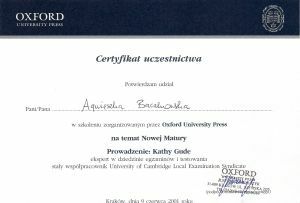 I graduated from an English Department of Jagiellonian University in Kraków. 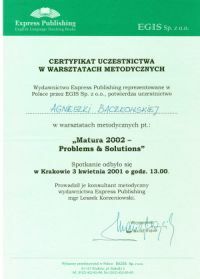 At the beginning of my professional career I worked at one of Kraków's secondary schools teaching English (between September 1999 and August 2001). 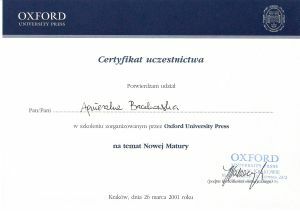 I also worked for Academia private school of English in Kraków then. TATRA SPORT offers all kinds of linguistic services - translating, interpreting, escorting. We specialise in sport and tourism fields and terminology. We cooperate with numerous hotels and travel offices of Zakopane, translating their brochures and leaflets. 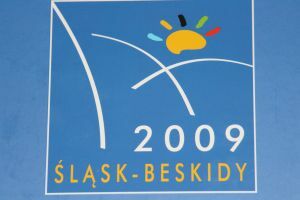 We have cooperated with both Polish and Tatra Ski Federations, as well as Sport and Tourism Department of Zakopane Town Hall translating rules and publications, as well as international FIS documentation. Presently, we also offer English tuition on all levels. We prepare for A and O levels, FCE, ACE, and other exams. We offer specialised courses in ENGLISH FOR TOURISM, ENGLISH FOR SPORT. 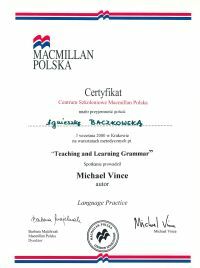 Presently, we run English for Toursim courses for Fundacja Pomocy Osobom Niepełnosprawnym (Foundation of Help to Disabled) from Stróże. The courses are implemented within Chlebem i Solą project - improving qualifications of employees working within the tourist industry, subsidised by European Union with European Social Fund grants.